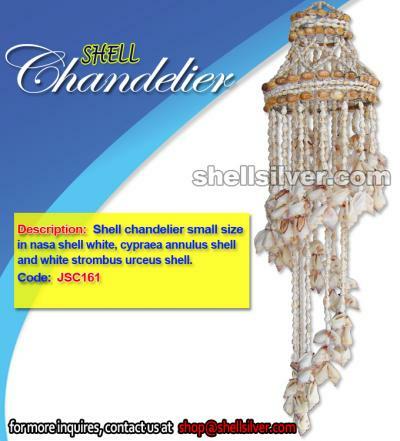 Shell chandelier small size in nasa shell white, cypraea annulus shell and white strombus urceus she more.. 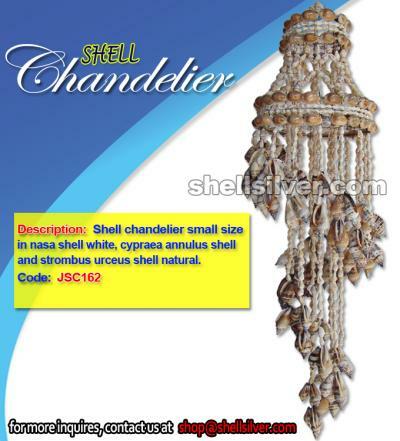 Shell chandelier small size in nasa shell white, cypraea annulus shell and strombus urceus shell nat more.. 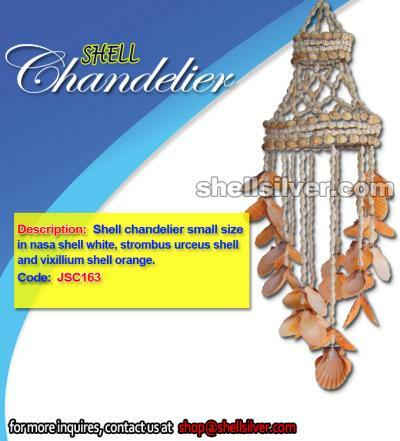 Shell chandelier small size in nasa shell white, strombus urceus shell and vixillium shell orange. f more.. 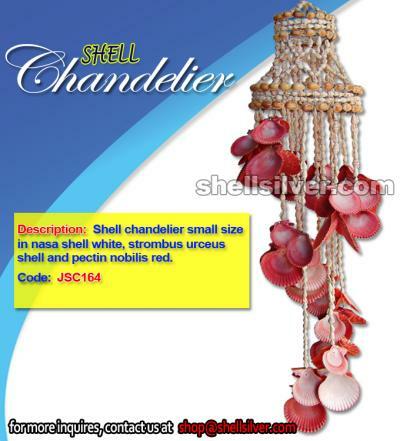 Shell chandelier small size in nasa shell white, strombus urceus shell and pectin nobilis red. fash more.. 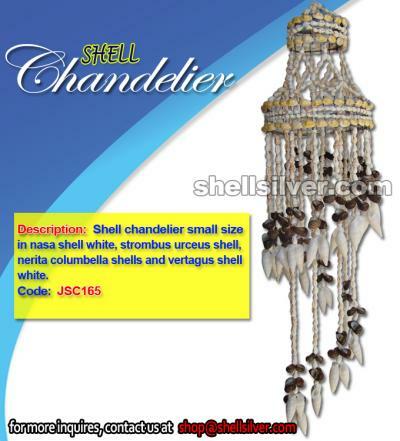 Shell chandelier small size in nasa shell white, strombus urceus shell, nerita columbella shells and more.. 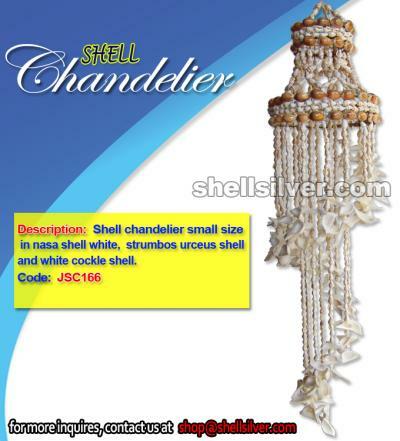 Shell chandelier small size in nasa shell white, strumbos urceus shell and white cockle shell. 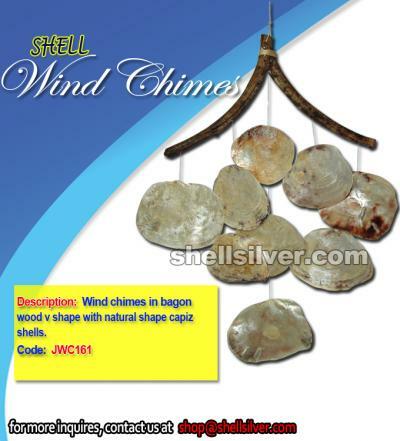 fashi more..
Wind chimes in bagon wood V shape with natural shape capiz shells. 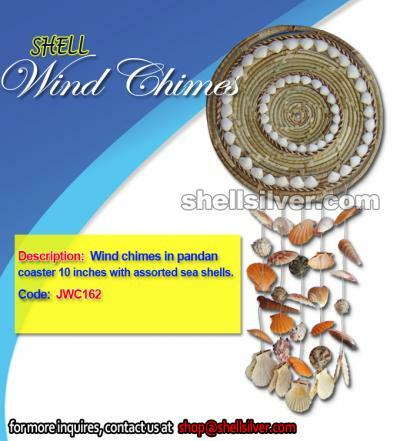 fashion jewelries high quality p more..
Wind chimes in pandan coaster 10 inches with assorted sea shells. 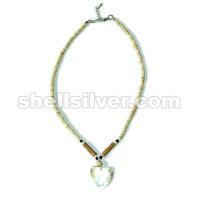 fashion jewelries high quality pr more..